The beauty that occupies interior design magazines can feel unachievable when you see the hefty prices attached. But an attractive home is within your reach – and you don’t have to loosen the purse strings too much either. Here, we explore the easy ways you can create a swoon-worthy home on a budget. Many of the tasks involved in revamping an interior don’t necessarily need a professional’s touch. 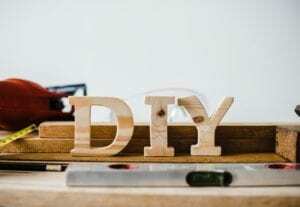 Instead, you can test your DIY skills and save yourself a sizeable sum. Painting and decorating are some of the easiest tasks to do yourself, and they will quickly give your home a completely new look too. And if you do struggle with them, plenty of guidance and inspiration can be found on the internet, social media or in how-to books. You could even try your hand at your own furnishing creations, such as knitted throws and macramé wall hangings, both of which are enjoying a resurgence in popularity on the home design scene. It’s not just new soft furnishings you can produce – perhaps you could upholster existing pieces and save even more money. Give chairs fresh material on their seats, or craft new cushion covers to transform your living space. There are many other ways to upcycle. Why not rejuvenate a vase or mirror frame with a metallic paint, including your own unique designs, or stencil wooden floors with a pattern? Restore an old dresser with a few coats of chalk paint. These are simple ways to create a different appearance, allowing you to easily transform your furniture and re-organise items at the same time. If you do need to buy some pieces, then these don’t have to come at a high cost. There are plenty of economical options available, it just requires a little research. Shop around for the pieces you need – you could potentially buy lower-cost lookalike items or second-hand furniture. Scouring websites like eBay, The Freecycle Network and Preloved, along with charity shops, are great for saving money. Other decorative accessories can be purchased in this way too. A few mirrors will help boost the natural light within your home, or you could add in an eye-catching blind or focal piece of artwork. Large, essential items like beds and wardrobes are key to your room design, but you may be resistant to purchasing such vital products second-hand. You can buy these items new, and maybe spend a bit more. If they are durable and will stand the test of time, then you won’t need to replace them anytime soon and so will save in the long run. The money leftover in your budget can be used to buy other items, like rugs, throws and green house plants, all at a lower cost. If it’s necessary to replace them later on down the line, you’ll have peace of mind that you won’t need to spend much in order to create the perfect interior. 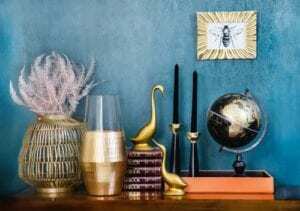 Even with beautiful new and transformed pieces, you might find that you still don’t see this sense of charm and elegance translating into your home. This could be because there is clutter obstructing it. Whilst getting your home in order can feel like a big task, there are a number of methods you can use to ease the process. These include making ‘SMART’ goals within a decluttering plan, learning how to let go of items, and employing fitted storage. By implementing these budgeting tips, you’ll be able to cost-effectively turn your home into the beautiful sanctuary you want to see. But if you do need a helping hand making creative and design decisions, especially when it comes to using fitted furniture within a particular space, just get in touch. Call our team today on 01756 700471 or tour our Yorkshire showroom, and we can give you advice that’s customised to you and your home. You can even book a property visit from a designer to talk through your bespoke furniture needs.